Disclosure: This is a sponsored post for Zonderkidz. Most of us know the joy that comes from receiving something from others. Whether a surprise or not, there’s a special satisfaction that fills our hearts when others care enough to give to us. But, I discovered long ago that “gifts” are not my love language. As much as I appreciate the gesture, I find so much more joy in giving! When it comes to our children, I’m careful not to step on any toes, but certainly hope they discover the same joy for themselves. In The Berenstain Bears and the Joy of Giving, Brother and Sister Bear can’t wait for Christmas and all the presents they’ll open. But during the Christmas Eve pageant, something special happens! The Bear cubs learn a very valuable lesson about the joy of giving to others. From serving the homeless on a consistent basis to volunteering at our church and donating to others, we now find ways to give regularly. Our own trials taught us a lot about the needs of others and how much joy can come from giving. 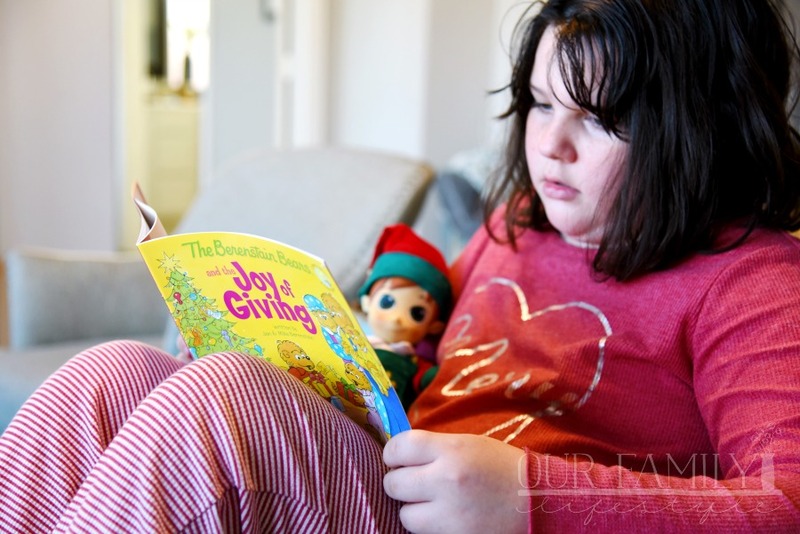 Using our own stories, in correlation with The Berenstain Bears and the Joy of Giving, we can give our children a better understanding of why we choose to pay it forward as often as possible. 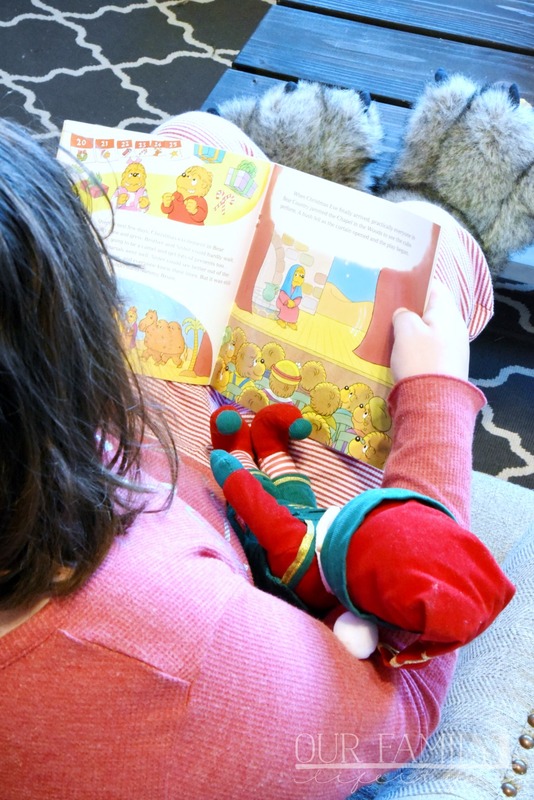 Sometimes, you can do something as simple as reading to your younger sibling. I remind my kids often that the joy of giving begins at home. 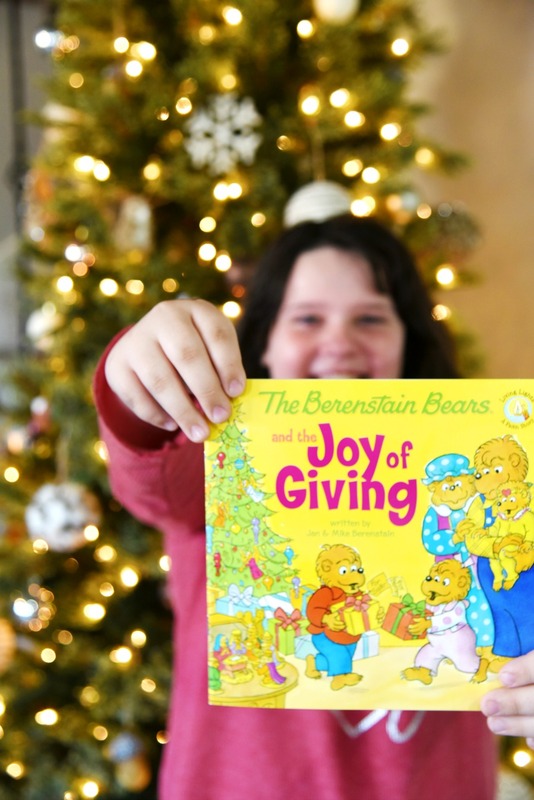 Start by reading The Berenstain Bears and the Joy of Giving with your family and ask your children how they can give back.